Complex herbal skin conditioner lotion cosmetic product for skin surfaces exposed to extreme conditions. 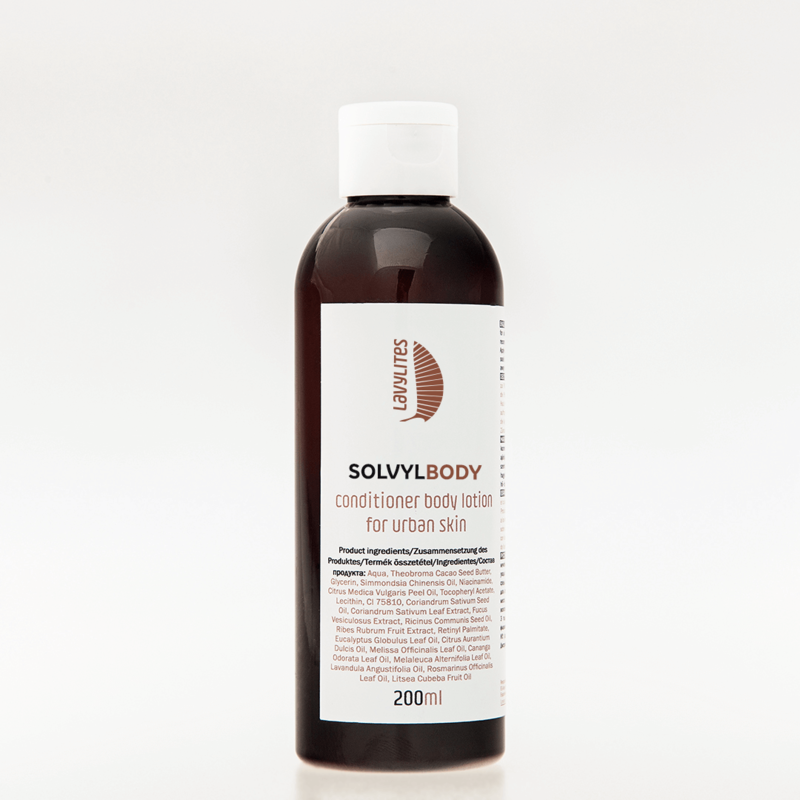 Expressly recommended for skin exposed to urban environmental conditions. Apply an optional amount on the skin; massage in and/or let it soak in. Avoid contact with eyes. Keep in a cool and dark place, away from heat or sparks. Keep out of the reach of children.